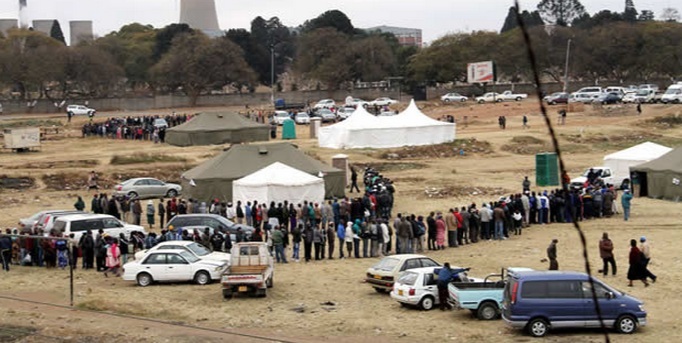 Harare – With 9,735 polling stations opening for business at 7 am today, Zimbabweans are getting the chance to vote more freely than at any time in the past 13 years. Electoral reforms since the last disastrous poll in 2008 have theoretically made voter registration easier. 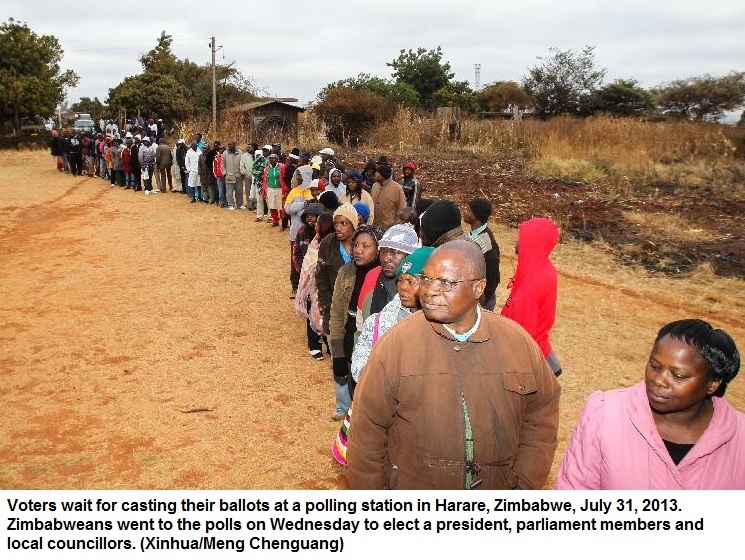 The Zimbabwe Electoral Commission (ZEC) is a little more independent, and has given assurances about releasing the results timeously (versus the highly suspicious five-week delay in 2008). There have been fewer arrests, less intimidation, less violence, and more freedom of speech and assembly. Zanu-PF and the two Movement for Democratic Change (MDC) parties have learnt to get on with each other better in four years of sharing government. And yet so many doubts remain up to the last minute about what will happen to those precious votes once they have been more freely cast. The latest doubts arose this week when the ZEC failed to provide either hard copies or electronic versions of the voters roll to each candidate in a “reasonable” time before the polls. On Monday evening, parliamentary candidates of both MDC parties said they have had no hard copies of the roll. That left huge uncertainties about the possibility of ghost voters participating in the elections. And with no voters roll to check against, it would be impossible for parties to verify the legality of those who do vote. Late on Tuesday, the Southern African Development Community (SADC) election observer mission was to receive a detailed log of this and other alleged breaches of the electoral law and the new constitution by electoral authorities, drafted by lawyers from both MDC parties citing electoral law and the new constitution. 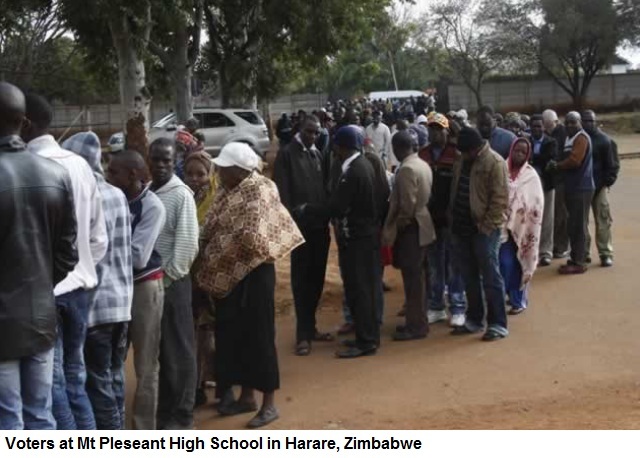 Many aspects of Wednesday’s election are better than any previous one because of electoral reforms effected during the MDC’s participation in the unity government with President Robert Mugabe’s Zanu-PF over the past four years. But transparency of the voters roll is key to any election. Even in 2008 – an election now widely condemned as a disaster – hard copies of the voters roll were available weeks before voting. 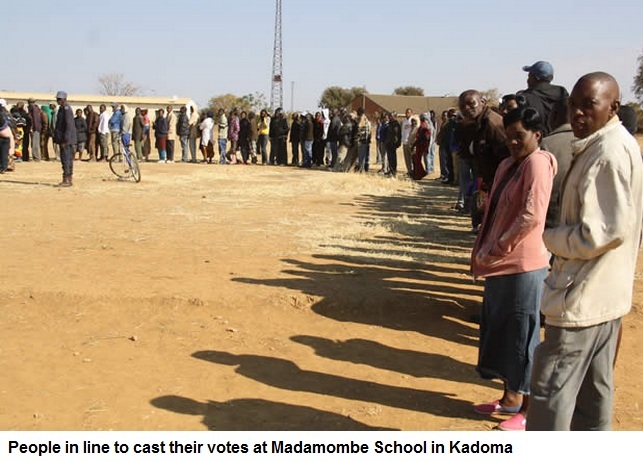 And yet, 24 hours before voting today, most candidates outside of Zanu-PF did not have the roll. The country’s registrar-general, Tobiawa Mudede, who manages the voters roll, is proud of his support for Zanu-PF, and when his office was printing the hard copies of the voters roll over the past week for distribution to the polling stations, he refused to hit the button to produce a few electronic versions on CDs as well. Yet the electoral law clearly demands that electronic versions of the rolls be made available to all candidates. Apart from the opportunity for rigging which this provides, more than 700 000 new voters will remain unsure if they have been registered to vote and which polling station they must vote at. Apart from the voters roll fiasco, these elections should be better than the last ones in 2008, though surely not truly free and fair as that phrase is understood. There have been and will be more election observers watching (they will be tripping over each other in Harare) and more rallies, posters, T-shirts, peaked caps, scarves and sweatshirts in party political colours, dance routines and jokes than before. 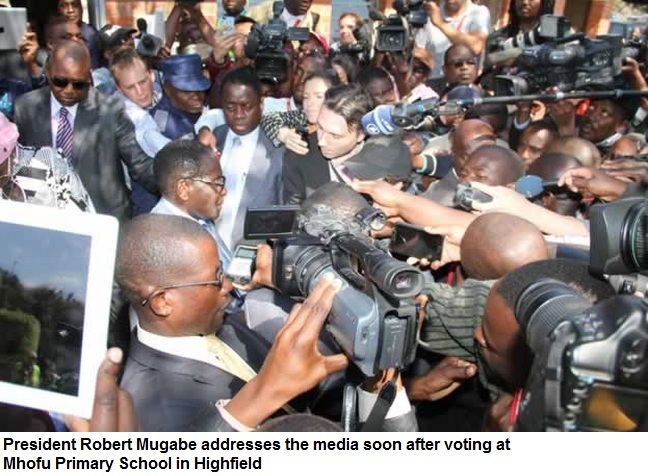 Zimbabwe’s state media have been roundly condemned for their blatantly pro-Zanu-PF bias. Yet a seasoned analyst like Ibbo Mandaza believes most of his countrymen are too smart to have been duped by such “low class” propaganda on radio, TV and in two state-owned daily papers. 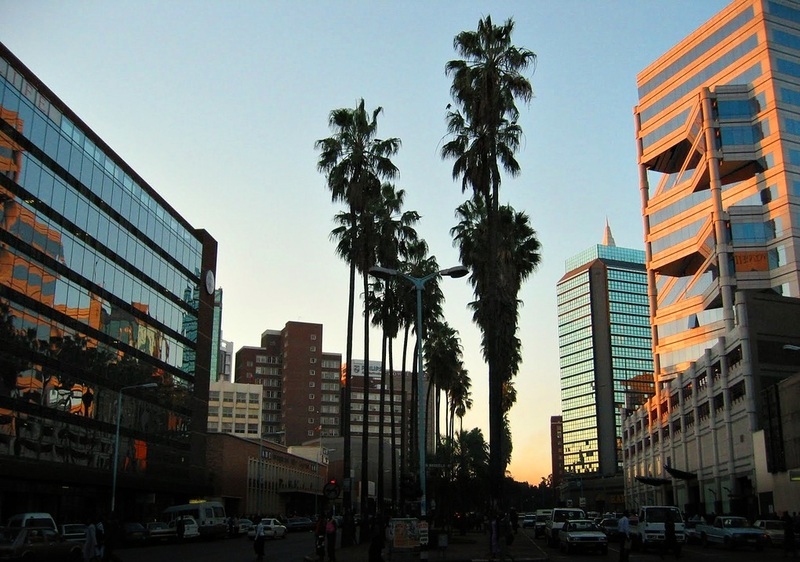 City dwellers at least – and last year’s census shows that urbanization is continually swelling their ranks – are increasingly tuning in instead to external radio stations via DStv, a new TV station entering via a European upload, and social media. And rural folk are doing the same. Baba Jukwa, a wildly popular blogger who claims to be a dissident senior Zanu-PF official (but is no doubt really a supporter of Morgan Tsvangirai’s MDC) “reveals” embarrassing inside stories about Zanu-PF all the time. Human rights lawyers have hardly any clients this election as so few have been arrested, and most journalists are relieved to be able to get on with their jobs as the intelligence agents aren’t so obvious. And there are fewer power cuts. About 800 journalists and 20 000 observers have been accredited for the elections. 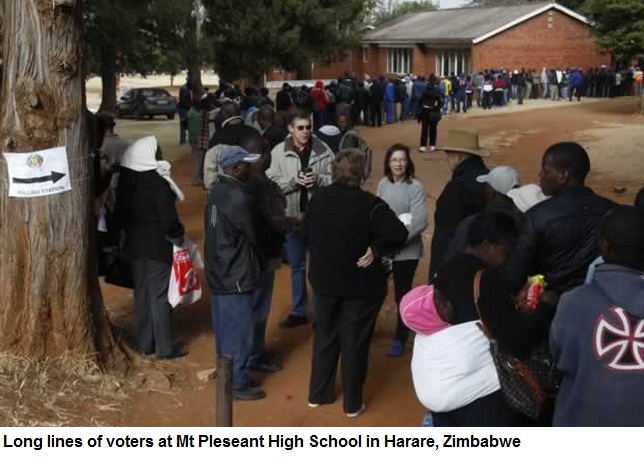 The ZEC has just added about 40 more polling stations in Harare, which should eliminate the endless queues there during previous elections. But the confusion about where to vote caused by the late or non-release of the voters roll may counteract the beneficial effect of the extra polling stations. 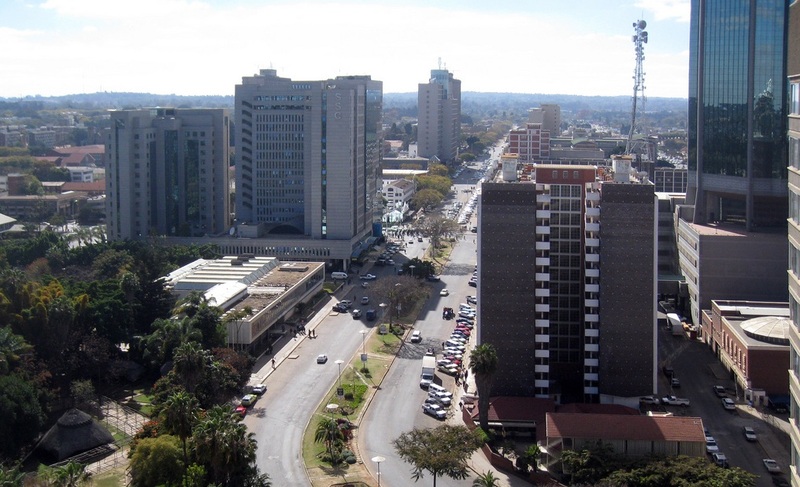 Harare is MDC territory. In 2008, the party won all but one parliamentary seat. The ZEC says it will announce results immediately they are known. The first results to be known will be for local government councillors, maybe even at lunchtime on Thursday. Results of the presidential elections will be made within five days, according to the ZEC. Though the election campaign has so far been largely peaceful, and peace was expected to prevail on Wednesday, not everyone was reassured. They recall that the 2008 election was also peaceful – until Tsvangirai beat Mugabe in the first round and then all hell broke loose in the campaign for the second round of the presidential election. So much so that Tsvangirai pulled out of the election to avoid further violence by Zanu-PF against his supporters, leaving Mugabe to win the election uncontested. That was too much even for SADC to swallow, and it stepped in to persuade Zanu-PF and the two MDCs to form the unity government which Wednesday’s election is supposed to end. SADC, the AU and several other African organisations have hundreds of observers in the country, very aware of what happened last time, and very much on the lookout for a repeat. Would it only be Zanu-PF violence? Yes, probably. Although MDC secretary-general Tendai Biti warned about the “rage” that MDC supporters would feel if Tsvangirai is beaten, and officials shake their heads and say they don’t know how they would control the party’s rage if Mugabe wins. But that is more than likely just talk. Some of Tsvangirai’s supporters are known to fling their fists around from time to time and escape censure, but it’s small-time stuff. Who will win today – or even who will win regardless of whatever rigging there might be, is hard to tell. The MDC draws comfort from a belief that most of the people who attended Mugabe’s 10 major rallies were dragooned and transported to the venues. Bused in, maybe. But probably not forced. There are millions of Zanu-PF supporters who want to hear Mugabe’s persuasive message of land reform and indigenisation. They believe that next week, or perhaps next month, a victorious Mugabe will grab the lion’s share of “foreign” banks and “foreign” mines for them, as he took the white farms. 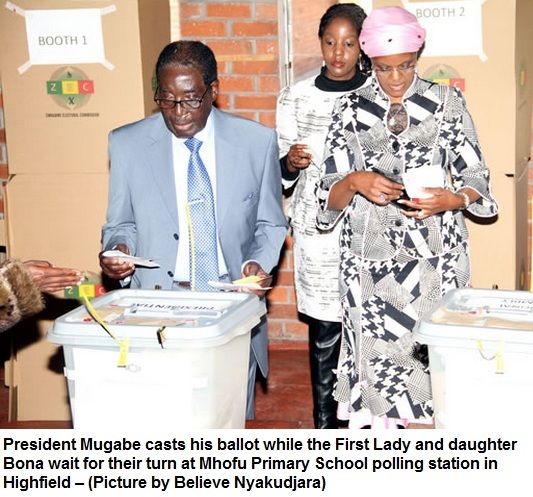 But if Mugabe and Zanu-PF officially win today, we may never know how real their victory is. At the heart of the problem is the ZEC, the commission which is running the elections, and few outside Zanu-PF trust it. It has been improved since 2008. 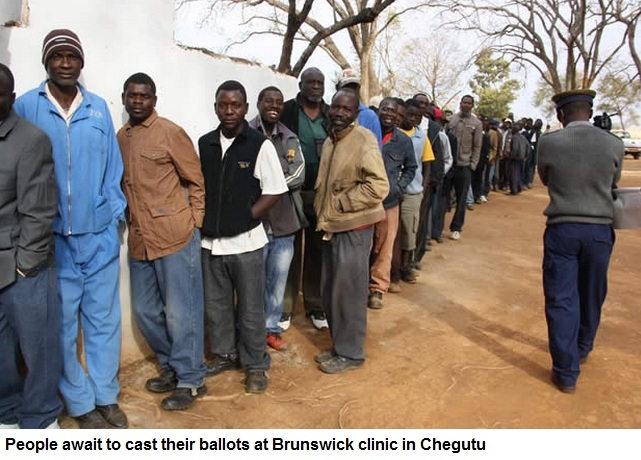 But apart from a couple of new commissioners and its chairwoman, the ZEC’s management and staff are the same team which obediently took orders to delay results for five weeks in 2008, almost certainly to give Zanu-PF time to doctor the results. The ZEC chairwoman, Judge Rita Makarau, is smart, and rational, and far more open than her predecessor. But some lawyers caution that she is still part of Zimbabwe’s judiciary, which doesn’t have a good, independent record. They believe Makarau could and should have advised Mugabe that it was impossible to efficiently and lawfully run elections on July 31 and that he should have postponed them, as SADC asked him to do. She chose not to do so. Economically this election is crucial. The business community inside and outside the country is mostly hoping for a Tsvangirai-MDC victory, even if it is also fearful of the consequences, including, perhaps, a refusal to hand over power by Mugabe’s generals. But the business people believe that if Mugabe and Zanu-PF win, the stagnation of the economy will continue, as foreign capital, wary of losing its assets to indigenization, stays away. The banks are already near empty and emptying. Biti, the finance minister, has warned that paying public servants’ salaries at the end of August will be difficult. 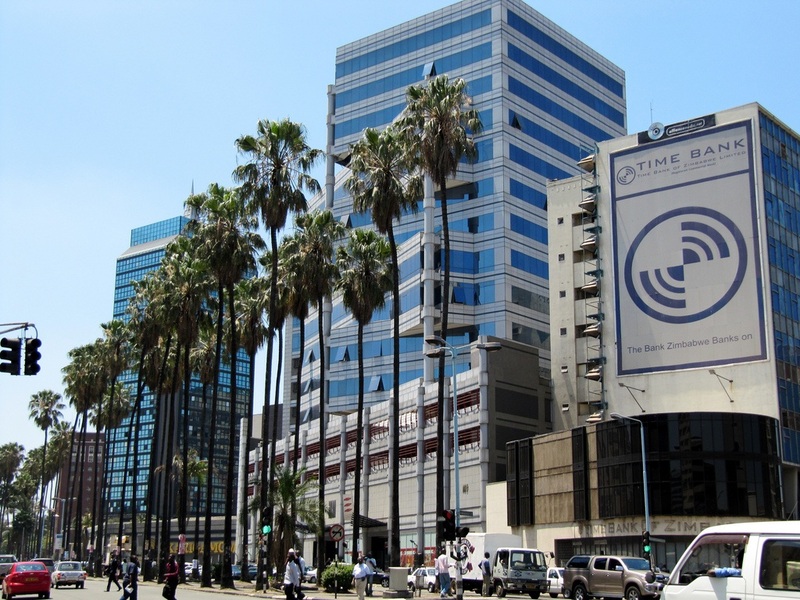 The recovery since 2008 has been small, mainly because of the switch of the defunct Zimbabwe dollar to the US dollar and because Biti has collected taxes diligently. Yet most business people seem sure Mugabe will win in the first round of voting anyway. But three SADC observers said Tsvangirai’s huge last rally in Harare on Monday had convinced them he would win. “I have never seen anything like that,” said one. When it is all over and the counting has been done, a huge responsibility will rest on the observers’ shoulders to call this election the way they have really seen it. 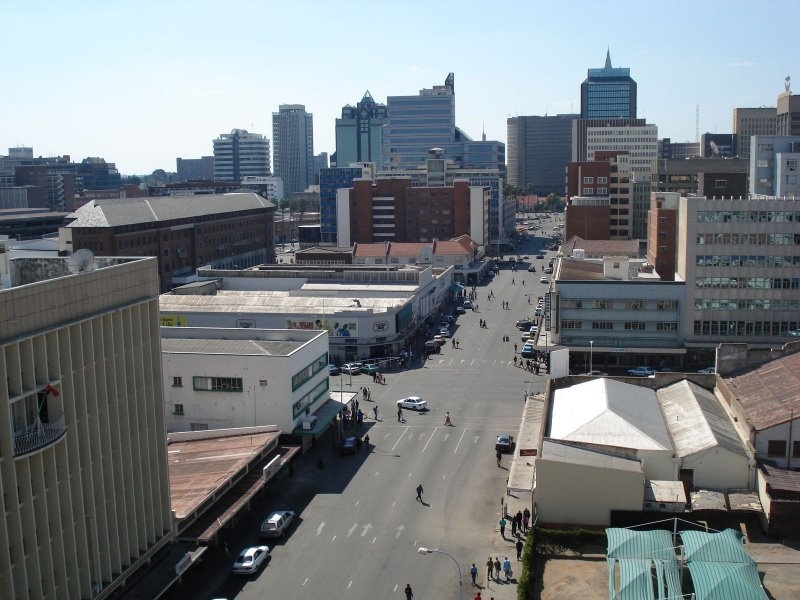 Video:Zimbabwe- Dawning of a new era? 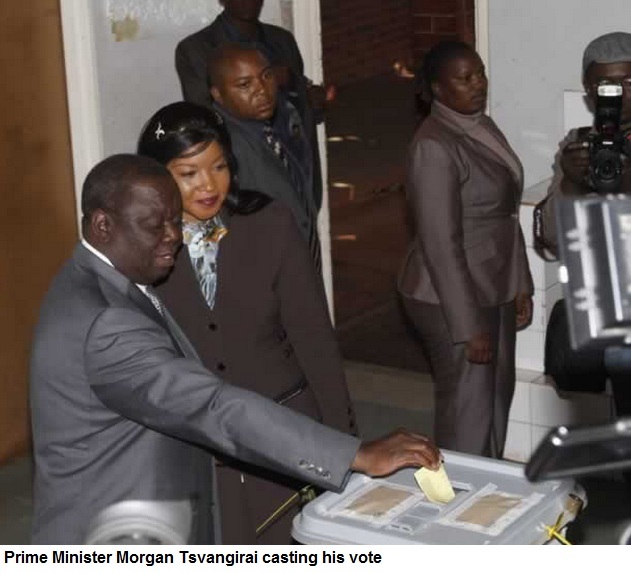 PM Morgan Tsvangirai cast his ballot at 10:25am at Mt Pleasant High School. He was accompanied by wife Elizabeth. He said everyone will be allowed to vote today. He commended the high turnout at Mt Pleasant High School. The United Kingdom annexed Southern Rhodesia from the [British] South Africa Company in 1923. A 1961 Rhodesia constitution was formulated that favored whites in power. In 1965 the white Rhodesia government unilaterally declared its independence from the United Kingdom, but the UK did not recognize the act. UN sanctions and a civil war finally led to free elections in 1979 and the independence of a majority ruled Zimbabwe in 1980. Land size: Zimbabwe is slightly larger than the U.S. state of Montana.